The Lord Mayor, in one of his first engagements since appointed, praised the investment by IKEA, Meadowhall and ARBA Group and the overall transformation, which is revitalising the Meadowhall district and creating more than 2,000 jobs, as a cornerstone of Sheffield’s commercial offering. He saw how key developments have been completed, and are in the pipeline, at Meadowhall, including the £300 million leisure expansion at Meadowhall Shopping Centre, the jobs and regional economic benefit of the flagship IKEA store and the creation of more than 70,000 sq ft of top-grade offices at Meadowhall Business Park. The Lord Mayor spoke to 60 hand-picked business leaders from commercial property and legal professions at the event. He said: “It is heart-warming in my first week of office to see at first hand how quickly Sheffield is developing as its own major centre for the North of England with such dynamic changes taking place at Meadowhall, complementing the transformation of the city centre through Heart of The City phase two. 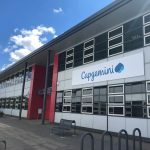 Mark Bruce, director of retail at Meadowhall Shopping Centre, highlighted the state-of-the-art 330,000 sq ft leisure hall extension due to go ahead and backed by owners British Land and Norges Bank Investment Management, which will create 1,400 permanent jobs on completion. While Matthew Gallagher, retail sales manager at IKEA showcased the importance of Sheffield’s labour market and development potential as reasons IKEA chose the city as a key location recognising that “as the pace of development in Meadowhall and the city centre increase, so will inward investment”. Property developers ARBA Group hosted the event to launch phase two of their development of Meadowhall Business Park, transforming five former city council office blocks into more than 70,000 sq ft of commercial space which has attracted new businesses to the area and sustained 500 jobs on completion. 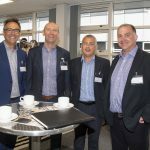 Richard Burns, director at ARBA Group, said: “To have such a collective presentation of change for this region under one roof was frankly eye-opening. 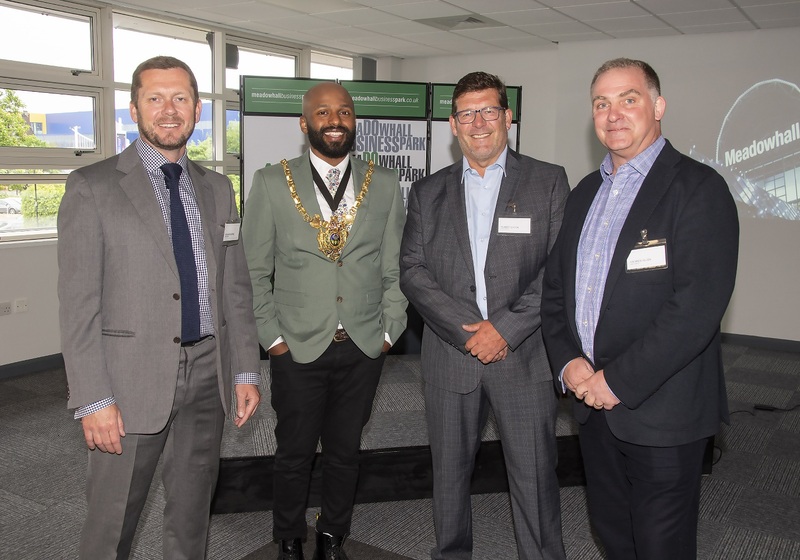 Photo caption: (left to right) ARBA Group’s Richard Burns, Robert Eaton and Andrew Allen with Lord Mayor of Sheffield Magid Magid.